Ol’ Man River is a song written in 1927 for a musical: Show Boat. The music was composed by Jerome Kern. Oscar Hammerstein II wrote the lyrics and it is based on a novel by Edna Ferber. Jerome Kern loved the novel and asked Alexander Woollcott (January 19, 1887 – January 23, 1943) of the New Yorker and a member of the Algonquin Round Table, New York wits of the day, to introduce him to Edna Ferber. At first, Edna resisted. She was afraid her Show Boat would be turned into a “girlie” show. These were the roaring and frilly twenties. But Kern explained that Oscar Hammerstein would write the lyrics, which meant this was going to be a carefully crafted Broadway show based on her book. She ended up agreeing and her name was on the necessary and very fine poster: adapted from Edna Ferber… She had won a Pulitzer prize for her novel So Big (1924). 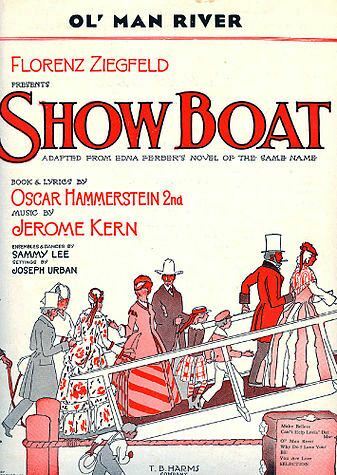 Performances of Show Boat dot the entire twentieth century and had a celebrated revival in 1994. It has been a sturdy perennial and it is a tribute to Kern and Hammerstein to have written a song that has allowed Paul Robeson to express the hardship of African-Americans. Since Kern and Hammerstein, several versions of the song have been performed. So I listened very carefully and believe the lyrics I am providing, with the help of Wikipedia, match Robeson’s rendition. However, I could not understand some of the words. If the land ain’t [is not] free. He jes [just] keep on rollin’ along. An’ you land[s] in jail. He’ll just keep rollin’ along. 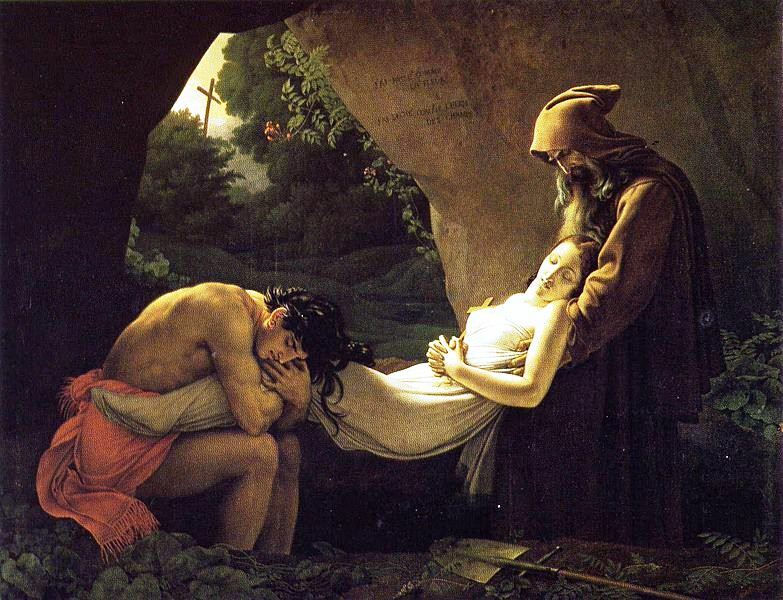 In 1801, renowned French artist Chateaubriand (4 September 1768 – 4 July 1848) published Atala, ou Les Amours de deux sauvages dans le désert and, in 1826, he published Les Natchez available as an e-book. The sad love story of our deux sauvages, Atala, was a great success. It offered just the right element of exoticism and was written by a writer whose penmanship is both exemplary and legendary. He was Victor Hugo’s model: “Je veux être Chateaubriand ou rien” (I want to be Chateaubriand or nothing). 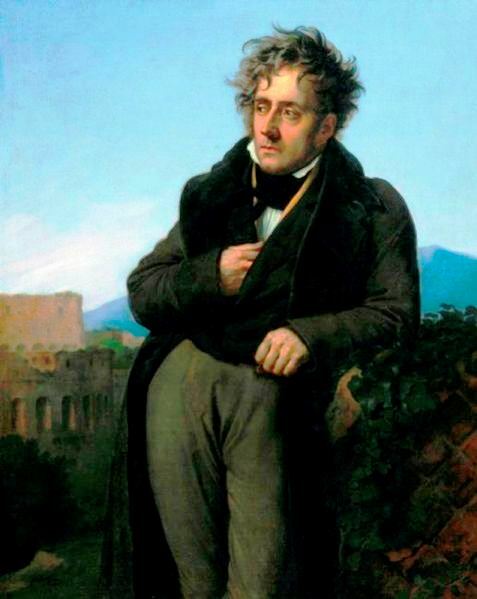 Chateaubriand is one of the fathers of French Romanticism. He created a character named René (1802) who suffers from what is known as le vague des passions or le mal du siècle, beautifully described in Wikipedia. However, we need only click on le mal du siècle. I believe that le mal du siècle was aptly described by Charles Baudelaire (9 April 1821 – 31 August 1867). In “l’Albatros,” (Les Fleurs du mal; The Flowers of Evil), Baudelaire writes that while the albatross soars majestically in full flight, its long wings make it look clumsy on a ship’s deck. René is a French reincarnation of Goethe’s Werther. See The Sorrows of Young Werther (1774). René is particularly fascinating because the love story takes place on the shores of the Mississippi or Meschacebé, which Chateaubriand describes in masterly prose, sight unseen. Moreover, Atala is rousseauistic (Jean-Jacques Rousseau [28 June 1712 – 2 July 1778)]) in that it glorifies nature and anything “sauvage,” untouched by the world. The real sauvages are in France. Consequently, Atala and Chactas are privileged human beings. They are bons sauvages. However, Atala’s mother has vowed that her daughter would remain a virgin. So Atala poison’s herself. In 1791, during the French Revolution, Chateaubriand took refuge in America. He returned to France in 1792, but had to leave France again. He fled to London where he earned a meagre living teaching French and doing translation work. (Wikipedia) He would later become quite wealthy. He spent his final years in Paris, living as a recluse. The only person he visited was Madame de Récamier.